As if owning a Motorola KRZR doesn't already make you a tool, why not outfit it with enough diamonds to make the regent of Siam jealous? That's exactly what Peter Aloisson did when he created the KRZR White, KRZR Leopard and KRZR Roma, the last one being a nod to his love for all things Francesco Totti-related. The price for these little wonders varies on the number and purity of diamonds used; Aloisson's other such luxury cellphones went for $1.3 million. Time to crack open the piggy bank or be content with your buy-one-get-one-free Verizon cellphone. Jump over the cliff for a few more pics. 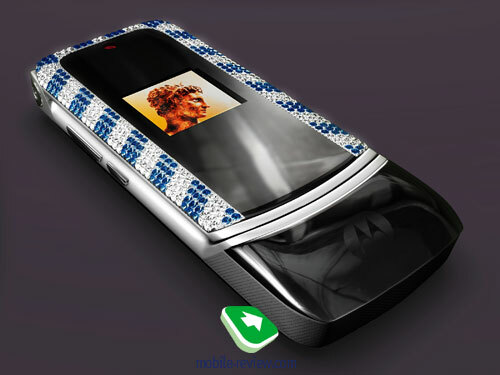 Yes, nothing says classy quite like outfitting a cellphone with diamonds.